When the first wave of MP3s and music piracy first hit the web, publishers responded by exploring as many digital rights management, or DRM, options as possible. Apple and iTunes helped make digital media purchases the thriving industry it is today, but not without resorting to putting DRM into whatever you bought there, too. While its music offerings have been DRM free since 2009, the same can't be said for videos available for purchase or rent via iTunes. That's a problem that M4VGear solves. 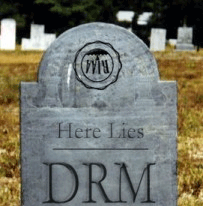 There are plenty of practical, ethical advantages that come with removing DRM. 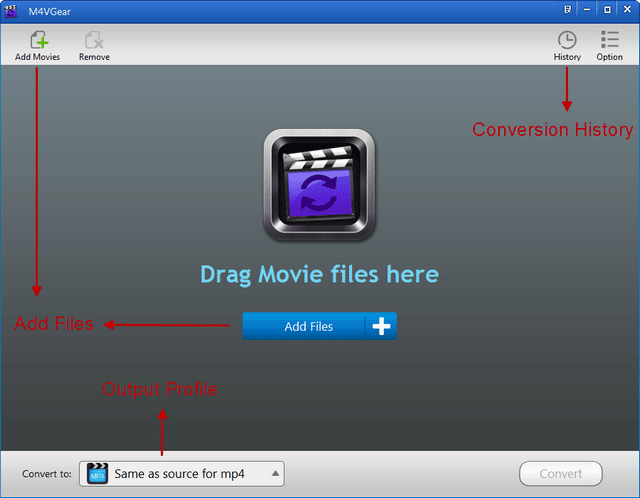 For starters, if you use iTunes on a Windows PC and otherwise stick with Android devices, M4VGear will allow you to watch the videos you buy through iTunes (which may only be available on iTunes, depending on the content) on whatever device you want, as long as it can support the MP4 file format. That means you won't be stuck watching those videos in iTunes, either. If you prefer VLC, Realplayer or even Windows Media Player, now those are options. 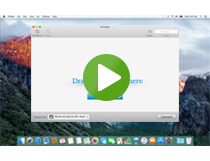 It's ridiculously easy to strip the DRM out of whatever video files you've downloaded from iTunes. That includes rentals, too, essentially acting as a digital version of those old VHS duping machines that let people keep copies of movies they'd rented from Blockbuster. Doing this might be pretty dubious in terms of living up to your end of iTunes' User Agreement, so let your conscience be your guide there. M4VGear works on old videos, too. Even if you had one of the first iPods that played video –long before the advent of smartphones – and purchased a certain video through iTunes at that time, you can still download that video again now and convert the iTunes video to MP4 with M4VGear and then watch it on whatever device you want. That's pretty awesome. M4VGear works very fast. You can convert a two-hour movie in about 20 minutes with the program. Additionally, it features lossless conversions, meaning the video quality doesn't degrade when you use it. And last but not least, the app also keeps 5.1 audio tracks and subtitles after conversion. The software is available for Mac (including OS X Yosemite) and Windows PCs, and costs $44.95 for a license (original $49.95). It's not an insignificant sum, but could certainly be worth the price if you've been searching for an easy, functional DRM removal tool and thinking about the money that you can save by not having to buy multiple copies of media so you can play content on different devices.